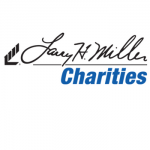 Parkside Elementary received a $5,000 grant from the Larry H. Miller Charities organization. The grant was awarded by Greg Johnson, executive manager of Larry H. Miller Chevrolet Murray. Along with school officials, also attending the presentation were Murray City School District Superintendent Jennifer Covington, and Murray Education Foundation Director Jeanne Habel. The purpose of the grant was for continuation and expansion of a program called “Mindful Moments: Teaching Students to Understand and Self Regulate Their Emotions” (using the MindUp Curriculum from the Hawn Foundation). Congratulations to Parkside Elementary School for pursuing this opportunity, and sincere thanks to the Larry H. Miller Charities for their generosity in providing funding for impactful program.